Loneliness has become a thing of the past for the newest elderly tenants at a Dublin housing complex who say this Christmas will be special. 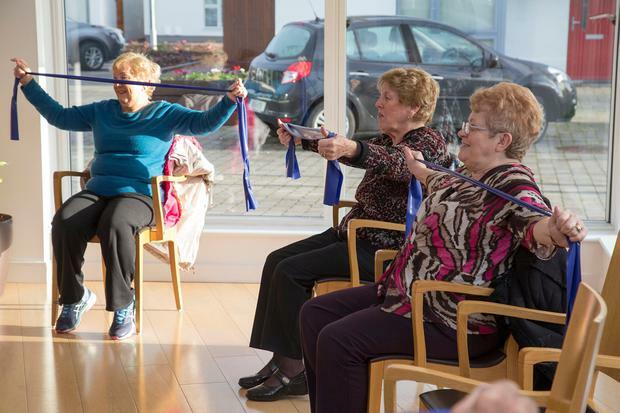 St Benedict's social housing complex in Malahide, Co Dublin, which is run by the Society of St Vincent de Paul, is home to 48 residents aged between 60 and 90 who come from a variety of backgrounds. Following the completion of the second phase of the complex earlier this year, eight new units have opened, welcoming new tenants to the community they now describe as "life-changing". Michael Hughes (85) was living in homeless accommodation until six months ago. The change in his life has been huge and tasks as simple as writing a letter are much less daunting now thanks to the help from the support officers nearby. "There were about 40 rooms and people were mostly homeless in the place I was living. I was there for two years," Michael said. "Now I'm living here six months. I go out most days and the neighbours are very good. "You need to get out and meet people to have a cup of tea or a cup of coffee, and you get help writing and filling out any forms from them here," he added. As Christmas approaches, many elderly people face loneliness and isolation, but at St Benedict's the noticeably warm environment has left residents looking forward to the festive season. Meanwhile, coffee mornings, exercise classes and themed events keep tenants on their toes. "It means everything, otherwise the walls would be closing in on top of you," 75-year-old Gabriel Christie said. The Dublin native and his wife moved in six months ago and haven't looked back since. "This will be the first year here and we are having dinner on December 16 and I'm looking forward to meeting everyone that I haven't met so far. The Christmas trees are organised and ready to go." Support officer Muireann O'Gorman said residents were on the countdown to the Christmas dinner party. "We're also going to have a huge Christmas party that is supported by St Vincent De Paul," she said. "There is a group of residents that have already been very enthusiastic about getting the place decorated, so we will have a group do that. "It will give them the dinner they may not have on their own, with a big group of people, lovely food and good craic. "It'll go on all evening and into the night and a lot of them are looking forward to that."